Aural Hypnox is one of the greatest hidden gems of the dark ambient world. To those in the know, collector’s editions sell out in a matter of days. It seems that most everyone from the dark ambient community that stumbles across Aural Hypnox quickly finds something to love here. One of the most concrete and noticeable attributes of Aural Hypnox is their focus on ritual ambient, as well as the attention to detail on their physical productions. Through acts like the legendary Arktau Eos and Halo Manash, among others, Aural Hypnox has built a solid fan-base, from their remote home-base of Oulu, Finland. 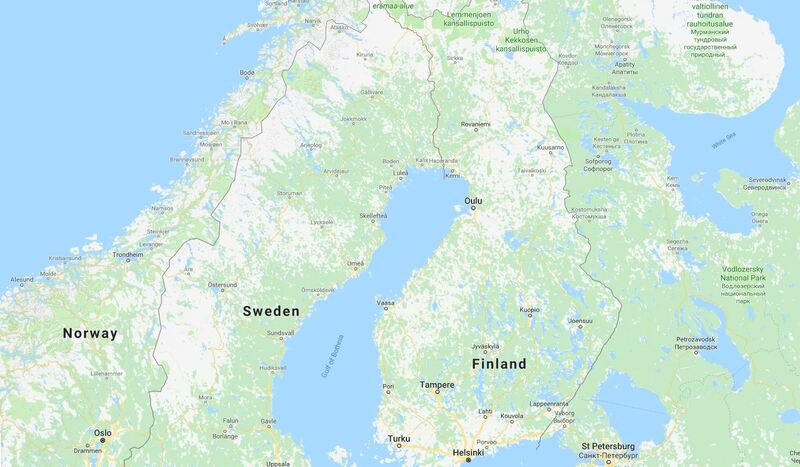 For those unfamiliar with the northern Scandinavian region, Oulu is pretty far north. In fact, aside from Murmansk and Norilsk in Russia, Oulu is the most northerly city on Earth. Further adding to the intrigue of Oulu is their community-wide experiments with new technology, called a “living lab”. With its founding going back to 1605, Oulu seems to have some intense conflicting extremes. The releases of Templum N.R. show the intersections between technology and ancient traditions in a most glaring way. Their first two releases Spectrum CCCXC: Transitio and T.o.V. Improvisations XCII-XCIII show a side of Templum N.R. which is more in line with the rest of the Aural Hypnox roster. A sort of droning ritual ambient. But, Spectrum DCXCIII: Poison Portals started showing a more experimental side of Templum N.R. Especially on the track “I Am His Sacrifice”, Templum N.R. introduced the use of unusual vocal sections. “I Am His Sacrifice” took us on a journey to a remote cabin which has more to it than it would seem. This odd vocal style has been made even more prominent on Memoirs of the Recoilers Pt. 1. Templum N.R. have also added a new element into the mix with all the vocals for this release being contributed by “Madame Eternally Nameless”. You can hear on the music video for “The Unseen Tailor” how these various elements come together to create quite a unique experience. The cassette comes with a fold-out insert which gives us all the lyrics for the release. There is a nice combination of foreboding, poetic beauty, futurism, numerology and darkness here, all blended into this short but potent release. While the album only totals about twenty minutes play length, it is nonetheless a rewarding twenty minutes. As should be expected of Aural Hypnox, this cassette comes in a beautiful packaging, created by Aural Hypnox sister company Primeval Vision. As with just about everything I’ve encountered from Aural Hypnox, I highly recommend Memoirs of the Recoilers Pt. I. It may be a short release, but every minute is valuable here and listeners will likely feel as content as I have with it, as a whole. 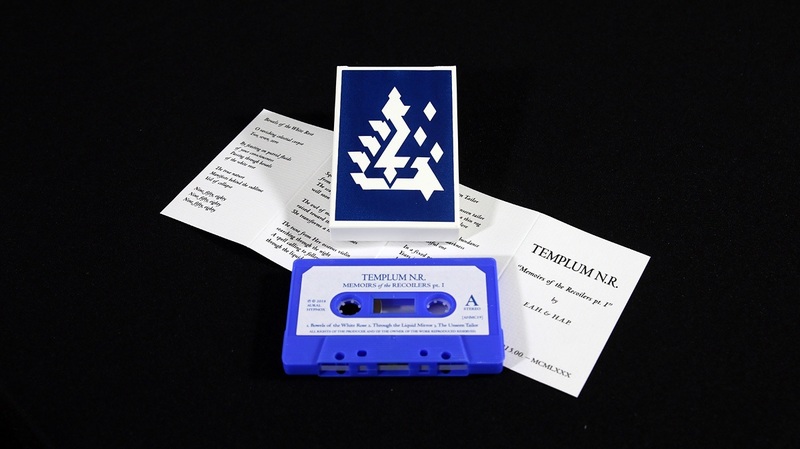 Concurrent with this release, Aural Hypnox re-released all three of Templum N.R.‘s previous albums on CD, each with a bit of extra content. It is always interesting to see where Templum N.R. will take us next, and this is once again a journey worth remembering.